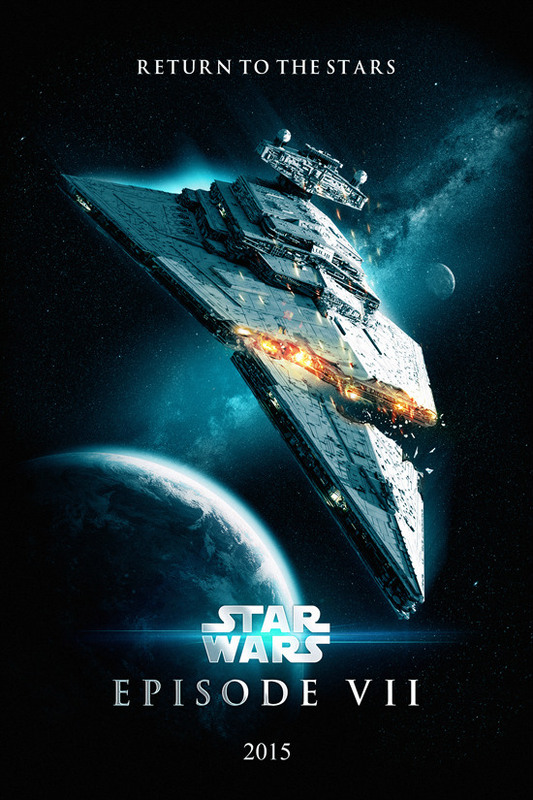 Star Wars trailer review: Scratching my head a bit, I am. Okay…so I get up this Black Friday morning thinking that I may browse some of the deals online before I get to work on my daily writing goal. Maybe while “window” shopping I’ll come across an interesting writing prompt to get me warmed up. I come across the new Star Wars trailer so of course I watch it a time-or-ten. My reaction? ( Note: it is vitally important to remember that my personal reaction weighs oh so heavily on the Internet and its ultimate well-being). My reaction is “huh…” So it appears JJ Abrams is doing what I expected him to. He’s turned Star Wars into a grittier world much like another movie franchise…now what was that one called again? Oh, yeah, Star Trek! Now just throw in a couple of redshirts (color the white stormtroopers red maybe), warp drive, phasers, and teleporters now because they would not be entirely out of place after seeing and hearing the trailer. Even the voiceover guy, talking about the “awakening force” and whatnot, sounds very much like it could have been recorded for a Star Trek movie trailer. We did get to see the Millennium Falcon so that was pretty cool. What was completely missing was any other recognizable character – unless of course you consider tie fighters, storm troopers, and x-wings characters, which I suppose they kinda are. Where is Luke, Leia, Han, all the hyped up returning folks? Where is the wookiee roar! For goodness sake? Where are the stars of Star Wars!? Where are the stars for that matter? Everything takes place over sand dunes, a dark forest (I have to admit the bad guys red light saber looks cool – it has to be difficult to imagine a usable bad guy sword for every new Star Wars movie I suppose), and there are even x-wings screaming over what appears to be a lake. Nothing in space. Nothing. So after viewing the trailer I am neither turned on or turned off (okay…maybe there was a little hair standing up on my arms when the Falcon zipped by – been missing her for more than 30-years!) for the upcoming mega-blockbuster-cashcow-in-waiting. I left more scratching my head trying to swallow the pill that this is Star Trek with the force and guys sweating like crazy under their stormtrooper armor. Just not entirely thrilled with the initial feel (love it for Star Trek but it has been done!) and not super excited about the look at all. Even the stormtrooper blasters look wrong. And what the heck is with the beach ball droid??!! I hope that droid isn’t a major player because I have a feeling he could be a mechanical Jar-Jar or something. Yes, Disney, I’ll pay to watch it…I’ll pay for the Blu-ray to follow most likely. But I’m not going to say right now that it looks like I’m going to like it. Just be prepared for the inevitable Star Trek crossover in the future everyone. Seriously. This entry was posted in Movie Reviews and tagged amazon, amazon.com, Bellerophon, eBook, eBook Download, kindle, Kindle Unlimited, kindleunlimited, Sci Fi, Science Fiction, SciFi, star wars, star wars trailer, trailer. Drive – Listen to the sound of awesome. A Movie Review. My Rating: 5 craft beers on a 6-pack scale (5 ½ if you have an awesome 7.1 sound system). First off I’m compelled to share that it is my belief that anything featuring Ryan Gosling should be considered guilty pleasure entertainment. I don’t know why that is exactly. He’s far from the greatest thespian to ever grace the silver screen. He delivers dialogue like he’s ordering a pizza and he has one move: a slowly forming smile coupled with a squint. Still I have enjoyed nearly everything I’ve ever seen him in. I wish I could put exactly why into words but I can’t at this time so I won’t even attempt the hunt. A wannabe race car driver spends his days stunt driving for movie productions and his nights driving the “getaway” car for those requiring his special skills. He also appears to make some money as a mechanic but money doesn’t seem to be his driving force (more on that later…and spoiler free as always). There is a married neighbor and some complications with some organized crime folks. Trouble ensues. And there is driving. Drive was a difficult film to review despite my abject love for it. I saw it the first time streaming on Netflix. Then a month or two later it arrived in the mail via the Netflix mailer because I forgot to take it off my disc queue (SIDENOTE: Yes I still get discs mailed to me. Not everything streams and Blu-ray is simply the best media. Period.) I wasn’t bothered by the arrival of the disc bearing envelope as it gave me another excuse to watch and HEAR the flick but this time in full 7.1 surround. I’m glad I wasn’t paying close attention to my queue because listening to the Blu-ray audio really introduced a new character I would have otherwise missed in the background minutiae. This character was the sound and, to state simply, it was incredible. This is perhaps one of the best films in recent years to take full advantage of a musical score, creative song placement, and outright sound. It more than made up for the near wooden performance by Gosling. You will certainly enjoy the “family” drive down the concrete L.A. River. I simply love the music that plays during this scene. It feels like a warm memory of a surreal family picnic. Another scene that takes full advantage of a plus musical score should perhaps have been mentioned first as it is the opening. The first time I heard this play I looked up from whatever was distracting me (iPad, dog in my lap, etc.) in wonder. Had I turned on the wrong movie? I wondered to myself. Nope. It’s Drive, it says so on the screen. Now I’d heard Drive receive positive reviews from trusted friends and even trusted family (trusted in that they are movie fans with somewhat discernable tastes) but still I took a long time getting to it. Too long I now freely admit. I keep mentioning it but this is a film to watch simply for the sound. I know…I’m beating a dead horse here, cloning it, raising it, and then to die of natural causes only to beat that dead horse yet again. Remember no spoilers so I won’t go into details while mentioned the vaunted elevator scene. It is one of the sweetest – yeah I said sweetest – and yet most horrifying scenes I can recall viewing in recent memory. There. I mentioned it. No spoilers. Proceed. The scene with Ron Perlman on the beach also stands out because of the near lack of sound. If I were to give an Oscar performance for Drive I would award it to the sound/music folks for sure. So the sound was awesome (have I mentioned that yet?). Now the acting…yeah…the acting. There had to be some of that in Drive, right? And there was. Kinda. Gosling was only a vehicle (pardon the terrible, terrible pun) for the incredible music/sound and the rather interesting story. He neither added a great deal nor subtracted same from the movie. But, because he’s Ryan Gosling, you just sorta buy him, due to his presence, simply because he doesn’t get in the way of the story much. And because he’s Ryan Gosling. Could other actors perhaps have added more? Sure. Maybe. It was a tough character to play because, other than a couple allusions to such, he near completely lacks character depth. That’s not to say the entire cast goes the same however. Carey Mulligan was rather strong as a wife held hostage by her sense of responsibility and honor while at the same time longing for something else, something more. She really sold a woman that wanted to scream but accepted that it would do very little. So she kept it bottled up like a good Irish gal. Good girl. Keep that bottled up. Very healthy. But, really you can see she has limited choice, especially because she has a young son to consider. The performance by the almost cookie cutter bad guys, played by Albert Brooks and Ron Perlman, was certainly a weakness and so was the lack of screen time for Bryan Cranston. A law should be passed that every movie Cranston is cast in, from now until the day after forever, needs to give his character twice as many lines and screen time as anyone else would be allotted. Did I say he is a fantastic actor? Well he is. Watch Drive but even more important…hear Drive. I’m going to go and pop it into the PS3 right now (yeah I added it to the official collection). This entry was posted in Movie Reviews and tagged Action, Cars, Drama, Drive, movie, movie review, movies, reviews. 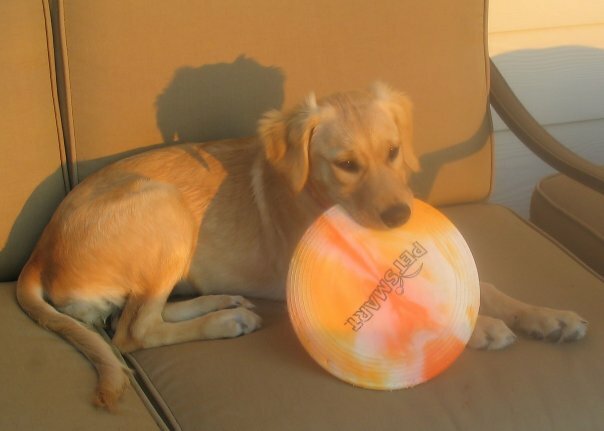 I only wanted to share that besides the Sigma Draconis sci-fi project and The Bellerophon: Ambush related novella, I will also begin work on a short novel in honor of my dog Sasha who passed away this past weekend. Upon her departure she left me with a final gift: inspiration. I miss her very, very much (just going through the motions at work right now) and I hope to honor her memory with a story that will be lasting. This will be a YA/Sci-Fi story concerning the loss of a beloved pet. This entry was posted in Dailies and Writing Updates, Day-to-Day Musings and tagged amazon.com, Books, dogs, eBook, golden retriever, kindle, Kindle Unlimited, kindleunlimited, Sci Fi, Science Fiction, SciFi, Writing. This is a notice for any of those dog lovers out there that read my posts to please be aware that this one may be kinda sad. I’ve been off my daily writing goal for some time. The reason is that one of my dogs, a 5-year old golden retriever named Sasha, has been battling an autoimmune disorder since Labor Day. A couple trips to emergency vet hospitals, a couple weeks of hospital stays, and weekly blood testing and therapies have not solved the issue. Her last prognosis (received yesterday when I picked her up from the specialist ER in Seattle) was “Guarded to Poor.” Fingers crossed and trying to stay positive is all that is left. She has a chance but it will take weeks to months for her to recover if at all. Thank goodness I had the foresight to get pet insurance for her because all I can say is her name should be spelled $a$ha as the dollar signs are completely appropriate. In truth there should maybe be another dollar sign in her name. Please know that I am still finding time to get some writing done be it in the morning before work, after work as soon as I get home, on the weekends as much as I can between chores that have to get done, and even while in the shower…I won’t go into the details on that one. Thanks for the continued support through the downloads and fantastic reviews that are both thoughtful and constructive. It helps tremendously. And thanks in advance for the positive thoughts for Sasha. She’s just a fantastic girl. My wife and I love her very, very much. UPDATE: It is with a heavy heart that I share the passing of my little girl, Sasha. She put up a valiant fight but the deck was stacked against her. The night of the 15th and into the morning of the 16th of November there was a battle fought and lost. She was brave and as strong as she could be but on the morning of the 16th it was time. We said our goodbye, held her paw, and watched her drift off. The tears are heavy and will continue to be so for some time. I miss my girl oh so very much. Thanks for the thoughts and prayers. We were lucky to have her in our life. We only wish that it could be for just but one more day. Still working hard on this project. Or trying to. The illness of Sasha has kept me from this project and I am okay with this. Very okay because she is so very much worth it. I’m 54k-words in and I feel it’s coming along. Wish I had an extra day a week to get this done sooner for everyone. I took a personal day last week to write and another one the week before that. Gonna run out of personal and sick days if I’m not careful but I FAR ENJOY WRITING much more than what I do during my regular work day. FAR, FAR MORE! A note on SD: if you’re looking for a blow-it-up-explosion-a-second ride…this is just a little different book than my first work for Kindle. This has a more thorough explanation of the colonial system, corporate future of space, and characterization of the various actors. Yes there is action. Yes there is ancient alien stuff. Yes there is adult language. And yes it will be longer than The Bellerophon: Ambush. I hope people enjoy it as much as I’m enjoying the writing of it. Sitting at about 4K words on this. I hope to have this in the 20-40K range and released ASAP. Kinda a wide range I know but I’m letting it go where it needs to go. If it’s 20K words then it’s 20K. I’m not going to needlessly lengthen or shorten it. It knows what it needs to be and I am just the tour guide of the exhibit. This novel is more in line with The Bellerophon: Ambush in regards to being a more fast-paced military science fiction work. Super fun to write it is. It is written in the first person and is more space marine-ish. It’s also warming me up for the direct sequel to TB:A because there will be some first person parts in there regarding a discovered journal. When I put out this Novella it will be released singly and as part of an updated TB:A combined release. Stay tuned for more updates and more film reviews. While on sick-dog-watch-duty I get to watch a lot of movies and I really enjoy writing those reviews. I’m glad folks liked my last one on Snowpiercer. 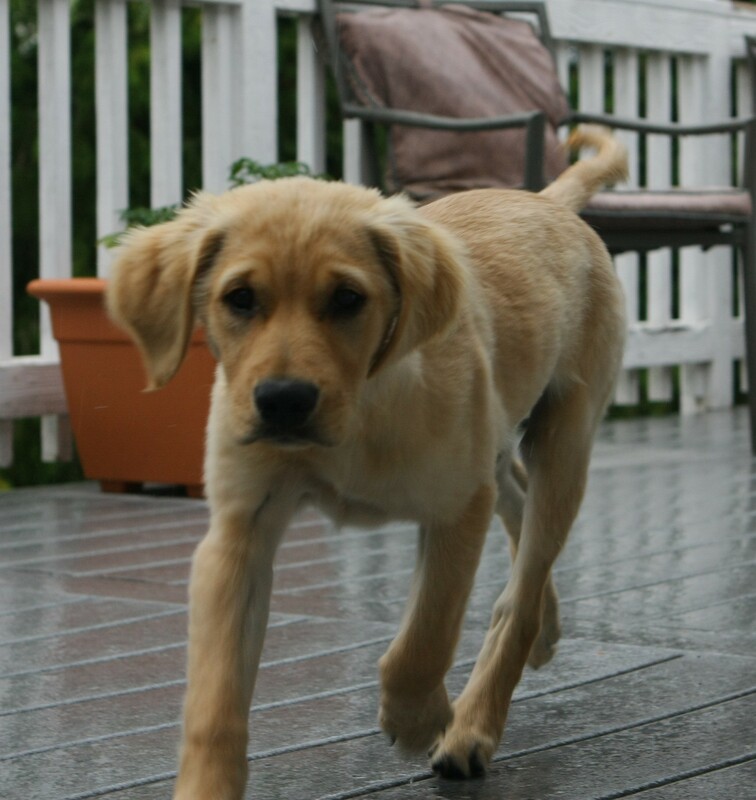 This entry was posted in Dailies and Writing Updates, Day-to-Day Musings and tagged amazon, Bellerophon, Books, dogs, eBook, golden retriever, kindle, Kindle Unlimited, Sci Fi, Science Fiction, SciFi, Writing. Terribly ugly awfully perfect film. My Rating: 5.9 craft beers on a 6-pack scale (no such thing as a perfect 6-pack!). Stars: Chris Evans, Jamie Bell, Tilda Swinton, and John Hurt!!! Terribly ugly awfully perfect film. Yeah you read that right. Wrap your brain around that! As usual there will be no spoilers in this quick and dirty review. There may be allusions and feelings (yuck…feelings) but no spoilers herein lie. Silly humans destroy the world. Only a train with an engine that seems to be able to run forever allows the remnants of silly humanity to survive (you may wonder why bother at the end of this movie though). To what end I don’t entirely know, but it is not the end that this movie is at all about; it’s absolutely about the journey. The movie could end abruptly a half-hour or more early and nearly the same effect would have been had. Still I suggest you watch the whole thing. I attempt to have my film reviews at under 500-words. Usually 500 plus or minus a paragraph gets the job done. I will attempt to do the same here, however I doubt I’ll be successful in this endeavor. To get us started I begin with this: I loved this movie so much that I never want to see it again. Why? Well…because it made me angry. And I loved it for it. Why did it make me angry? When I say it made me angry I don’t want to convey the notion that I’m upset at the film in anyway, no, not at all. I’m upset at myself. I’m upset that I didn’t pay enough attention to my 11th grade English class with Mr. Alan Watt’s. I remember skipping his class. I remember sleeping in his class. But what I don’t remember clearly is Dante’s Inferno because I was simply too cool for school and the likes. Had I paid closer attention I perhaps would have enjoyed this film even more than I did already. Thankfully I paid attention in social studies when we were instructed on class systems and the inherent struggles of the proletariat versus the aristocracy and upper class. Read Dante’s Inferno and then remember your class system struggles studies, and the fact that this is a movie set upon a train in an apocalyptic world (with a humanity that wants to survive but most assuredly does not deserve to do so), and you’ll walk away all the better for having seen this film as first an educated person. I wanted to watch it again…so I immediately returned it so I wouldn’t get to so as to purposefully torture myself. A wonderful film that my only regret being is that it took so long to see. Now, why not the perfect rating? 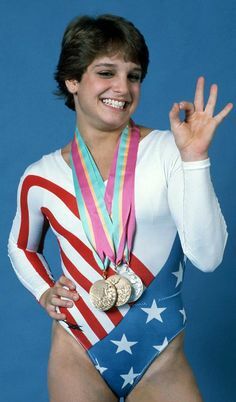 Well ever since the perfect-10 with Mary Lou Retton in the Olympics perfection has been forever tarnished. The idea of the “perfect-10” is that there is no way at all, ever, ever, ever, that it could be any better. Since I do not conform to the perfect-10 rating on anything, especially since I am not a corrupt French figure skating judge, I have to point out a couple flaws that kept Snowpiercer, at least in my humble determination from Mary Lou status. First, John Hurt is wasted. He has some good lines but then the baton is passed/fumbled to Chris Evans who is trying not to come across as Captain America throughout the length of the picture. He kinda sorta almost succeeds. He has one scene where he is definitely NOT Captain America (unless you consider him Captain “Corporate” America…you’ll get the joke hopefully when you see this movie) but other than that he just needs a shield with a star on it and he’s the Marvel superhero we all know and love. Tilda Swinton is…well, Tilda Swinton. You can’t stand her and you love her for it. She is wonderful so she pushed the movie toward the Mary Lou perfect-10 but, like the rather wasteful performance of John Hurt (seriously…was he sick one day during an important scene and they Bong just decided to move on without him? ), you’ll then find Jamie Bell’s character wasted. Sad…almost won the gold with that 10. Oh well. A 5.9 is pretty cool in the craftbeer rating world I suppose. I can’t wait to watch this film again and torture myself by hating myself because it is so terribly awesome. This entry was posted in Movie Reviews and tagged Action, Chris Evans, John Hurt, Joon-ho Bong, movie, movie review, movies, Sci Fi, Science Fiction, SciFi, Snowpiercer, thriller. Lots of writing and it’s driving me crazy! Sigma Draconis threatens to end me, I swear it! I’m about 55K into the story and it wants, calls, to be split into a two parter! This was a project that originally started as a novella mind you so perhaps you can understand my trepidation and concern. Well…it’ll get done for no other reason than I’m super excited to begin my other projects. I really wish this is what I did full-time! Thanks to all those that have supported me by downloading my first novel. I hope to get more out to you soon! This entry was posted in Dailies and Writing Updates and tagged amazon, amazon.com, Bellerophon, book, eBook, kindle, Kindle Unlimited, kindleunlimited, Sci Fi, Science Fiction, SciFi, Writing. First off I’d like to thank my readers in Australia. October was a pretty good month for downloads there. I taught my students the awesome song Waltzing Matilda weeks ago so obviously that news made it’s way from Washington State to the land down-under and thus the uptick in downloads there. I love that song…perhaps the best unofficial national anthem ever. The real one, “Advance Australia Fair,” is the official anthem but the one everyone really knows is Waltzin’! Love it! Sigma Draconis is coming along. Not as quickly as I’d like but it’s coming along. The trouble is not the writing. It’s finding the time to do the writing! Holding down a full-time job with a commute that’s more than an hour round-trip really cuts into my writing and brain-working time. I’ve changed things up this week writing at home a couple hours before I leave for work. This worked well for me while I pecked away at The Bellerophon: Ambush last spring. I tried to change things up this year by writing after work but then people saw my light on which then obviously meant I was there to answer their questions…so I stopped that this past week. When your door is closed and your classroom lights are off and the only light on is your desk lamp that should say something. Many are deaf to this however. So from now on, when it’s 4pm, I’m out! If I’m still in the mood when I get home I may be able to put another 500+ coherent words for a current writing project (Sigma Draconis novel, TBA short story/novella) or to outline a new story. I have dozens and dozens of those. Writing story outlines is almost as addictive as writing the actual stories! Perhaps even more so in fact. Wouldn’t it be great to have an 8th day of the week that was all yours?! I could go with that. No wonder folks that work 4 ten-hour days instead of 5 eights are so much happier. Despite the change in writing schedule, a crazy work week, and my brain outlining new projects seemingly every day, I managed to get Act/Part 1 done yesterday. The draft comes in at 50K words and without looking through it yet (which will change what I say next most assuredly) I’m pretty happy with it. It is different than my first book TB:A but I promise it’s still great fun. I’m more excited for this piece than TB:A in fact. The plan is to start Act/Part 2 tomorrow morning and see where that goes. What it looks like right now is that for sure there will be 3 overall Act/Parts and possibly a 4th. If it goes to a 4th Act/Part it will probably mean it’ll be split up into two releases so I can hit my self-imposed deadline. I’m happy either way that goes. The only problem is that it may push back the direct sequel to TB:A just a little bit but I promise it will be a month delay at most. I hope to get that done by this late spring. Stay tuned for more on that! So this is a shorter piece of fiction following one of the crew from the Bellerophon and how he or she came to sign-on with Captain Wray. I’m experimenting a day a week on writing this. It looks to be first person which I’m very excited to do for several reasons. For one it’s great to write in this manner because you get a lot of extra dialogue and character development because you get the internal dialogue and how the character is thinking. And second it’s my homage to one of my favorite books of all-time, Heinlein’s Starship Troopers. Finally, I’m exploring this point-of-view writing style because it may return for the direct sequel to TB:A. At least part of it anyway. Thanks for following and keeping up with my notes on this and that. 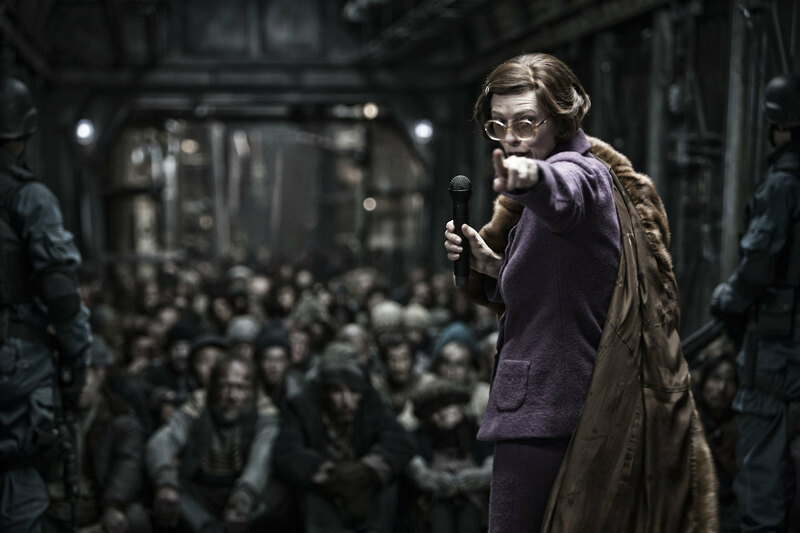 I watched Snowpiercer on Halloween night and a review on that film is forthcoming. Let’s just say I’m very glad I saw it. Cheers and keep the faith! If you find yourself in Portland, OR try Via Chicago grab some of the best pizza, craft beer, and sandwiches around. This entry was posted in Dailies and Writing Updates and tagged amazon.com, australia, Bellerophon, Books, eBook, kindle, Kindle Unlimited, movies, pizza, portland, Sci Fi, Science Fiction, SciFi, Waltzing Matilda, Writing.